Firstly: choose a long tail keyword. Second put the Long Tail Keyword in: Title tag, Page URL, h1 tag, Meta Description, Image Alt Text. Third get social media approval. You’ll dramatically improve the number of visitors from search engines if you follow these SEO content writing steps. Some keywords attract high volumes, but it’s impossible to even get into the top 10 search results for those keywords. You’ll get far more traffic if you rank in the top 10 for lower volume keywords. Lower volume keywords are termed Long Tail Keywords. Although the number of searches on Long Tail Keywords is lower, it is probably easier to obtain a higher position, which gets 2 to 5 times more traffic than if you rank say 10th for a keyword with twice the volume. In addition, people entering Long Tail Keywords into Google tend to know what information they want, and are often more likely to purchase. 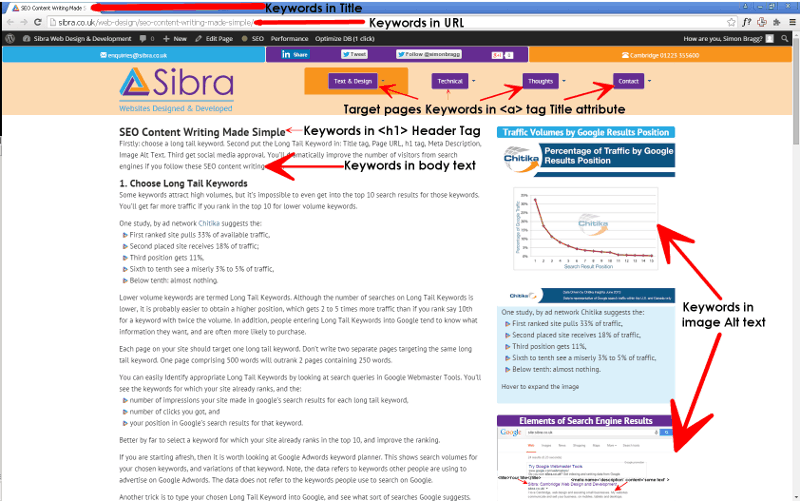 Each page on your site should target one long tail keyword. Don’t write two separate pages targeting the same long tail keyword. One page comprising 500 words will outrank 2 pages containing 250 words. your position in Google’s search results for that keyword. Better by far to select a keyword for which your site already ranks in the top 10, and improve the ranking. If you are starting afresh, then it is worth looking at Google Adwords keyword planner. This shows search volumes for your chosen keywords, and variations of that keyword. Note, the data refers to keywords other people are using to advertise on Google Adwords. The data does not refer to the keywords people use to search on Google. Another trick is to type your chosen Long Tail Keyword into Google, and see what sort of searches Google suggests. Just about everybody uses the Yoast SEO plugin in wordpress, so I’ll refer to this plugin. As you’ll see, just installing and using the Yoast plugin is not the complete answer to improving your rank in search results. There are five elements of your page that should contain your Long Tail Keyword, Your aim is to convince Google that your page really is about your chosen Long Tail Keyword. If you inspect your raw HTML for a page, you’ll see just after the <head> tag, the title tag, i.e <title>Your keywords</title>. You’ll also see your title tag displayed in the tab at the very top of your browser. If you’re using the Yoast plugin, enter your long tail keywords in the box labelled “SEO title”. Note that not only do you want your page to rank highly in the search results, but you want people to click on the link to your page. So the title text should sell the idea of clicking on the link. If your page is say ranked number 10, but achieves a higher click through rate on Google’s search results than the number 9 page, then your page will overtake the number 9 page. Alas, also note that Google sometimes doesn’t use your Title tag in the search results. This might mean that Google things your page is about something else. It is probably better to format your page around what Google thinks it is about. The page url should contain the Long Tail Keywords. It’s best to separate individual keywords with dashes, rather than underscores. Don’t take out the spaces, otherwise your keywords might be misinterpreted, e.g. the well known Susan Album Party problem. You’ll additional benefit, if your page URL’s possess parent child relationships. In Structuring your website I talked about pathway pages, i.e. the parent, and content pages, i.e.the children. There is also an SEO benefit in using this structure. So for this page the parent page is https://sibra.co.uk/web-design/ and this page is its child: https://sibra.co.uk/web-design/seo-content-writing-made-simple/ So this page’s URL reads web-design seo-content writing made simple, communicating that this page is about web design and SEO content writing, The page ranks higher for very long tail keywords containing both items. <h1> Used once, for the title of all your page content. Google wants to know what the page is about. <h2> For subheadings. This tag can contain keywords, but is a much less important ranking factor. <h3> to <h6> As desired for sub, sub headings. <p>For the main text of each paragraph. Note that the <h1>title is a different element to the <title> tag described above. Nevertheless, both should have much the same words. Writing paragraphs in say h3 styling, just because it looks better is a big mistake. Hopefully the text of your Meta Description appears beneath your URL in Google’s search engine results. These days, the meta description is a less important ranking factor, so there is no need to stuff it with keywords. However, the meta description is hugely important for selling the idea of clicking on your link to your page. The meta description should sell the promise of what the visitor will learn, if they land on your page. 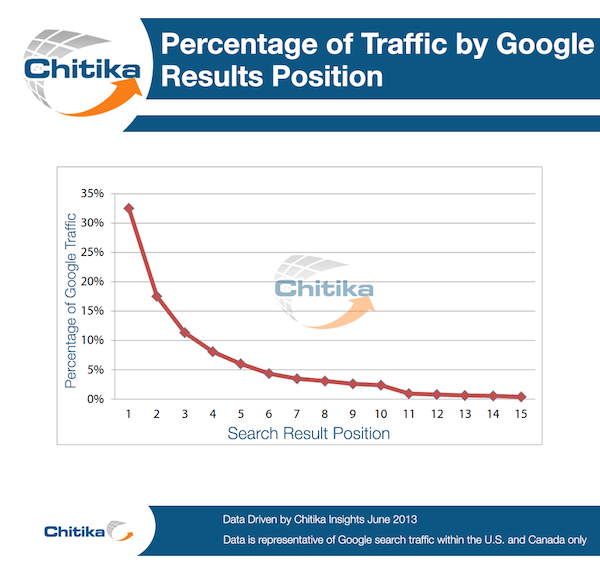 The higher your click through rate in Google’s results, the higher your rank on Google’s search results. This is because google reckons that people must like your page. In the Yoast SEO plugin, “some text” is what you enter into the box called “Meta Description”. Every image should have keywords in its alt tag. The original purpose of the alt tag was to explain what the image is about to partially sighted readers. However, google can’t “read” pictures. So Google uses the alt text of your images to understand what the image is about. Since your image should help communicate whatever your page is about, ensure the image alt text contains appropriate keywords and text. Some people think that Google checks the image file-name, so ensure the filename contains your Long Tail Keywords, just in case. Note that visitors might be arriving at your website through an image search – i.e. they are looking for articles with an appropriate image. You can see the volume of image searches on Google Webmaster Tools -> Search Queries -> Filters and set the filter to Images. Since all Google can index, at the moment, is the alt text, filename, and text near the image, there is probably a small benefit in correctly formatting these elements. If you hover over the link, you see a “tooltip”, which is the text in the title=”” tag, within the <a> tag. Don’t just repeat the “Blue Text on your page” bit in the tile=”describe what target page is about” bit. Within your menu: including the <title> and <meta description> of the target page in the title of each menu link, to clearly describe what the target page is about. This helps the target pages, i.e. the other pages on your site, but not the page you are working on. Within WordPress, go Appearance -> Menu, and open up a menu item. You’ll see the navigation label, that appears as text on your webpage, and next to it, the title attribute. External links: i.e. links from your page to other websites. These target pages are presumably providing additional useful information, which just happens to be relevant to your target long tail keyword. 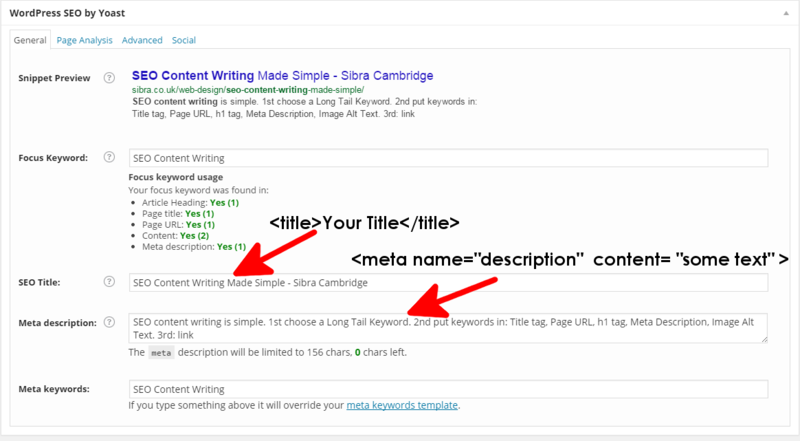 So include your long tail keywords in either the Title tag or blue text. You only need to include the keyword in the main body copy a couple of times, according to Matt Cutts. Mentioning your long tail keyword 400 times does not make your page rank 400 times higher than a page that mentions your keyword merely once. However, made sure you surround your body copy with <p> tags, not <h1> <h2><h3> etc tags. Number of backlinks: i.e. links from other sites to your webpage. Google +1’s: Even though Google+ is not the most successful social media platform, Google+1’s have a disproportionate influence on ranking. Much of the SEO industry’s work involves gaming this system. Much of Google’s work involves stopping the SEO industry from gaming this system. It is usually more cost effective to focus on writing SEO content, properly formatted, that website visitors actually recommend via their social media platforms. Social media following buttons: So that visitors can receive your new content. Fixing the following errors dramatically improves your Google ranking. Check Google Webmaster tools -> crawl errors for broken links. I’ve seen sites with over 70 broken links, and 1 site with 300 broken links. I’ve seen fixing these links with a 301 redirect to a URL that actually exists double traffic within a couple of weeks. However, the lift depends on the number of broken links. I usually enter the 301 redirect directly into the .htaccess file, although there are plugins available. These days Google Webmaster tools also shows soft 404 errors, where Google found a page, but there is no content. Either add content to this page, or no-index them. You can list your website as http://www.yourwebsite.co.uk or http://yourwebsite.co.uk. Choose one version, usually the http://yourwebsite.co.uk, but not if you already have a lot of backlinks to http://www.yourwebsite.co.uk. Check Google Webmaster Tools -> Search Traffic -> Links to your Site. In Google Webmaster tools, verify both versions of your domain, and then tell Google which is the preferred domain. Most websites use Google analytics, which is free and useful. I cannot believe that Google doesn’t use your Google Analytics data to assess the usefulness of your page. So if lots of people visit your page, and run away screaming, – i.e. you have a high bounce rate, and the average time on page is short, then I’d guess Google thinks “something is wrong” with your page. So, presumably, Google down ranks your page in its search engine results. One explanation of a high bounce rate and short time on page, is that the keywords in the title tag, page url, h1 tag, meta description, image alt text don’t accurately describe what the page is about, the questions visitors want answered, or the content is rubbish. So visitors quickly leave your page. This means that your Robots.txt file shouldn’t have Disallow: /wp-content/* , Disallow: /wp-includes/* and, arguably, disallow: /wp-admin/* . If you want to block particular pages, then set the specific page to no-index on the page, in the Yoast plugin.